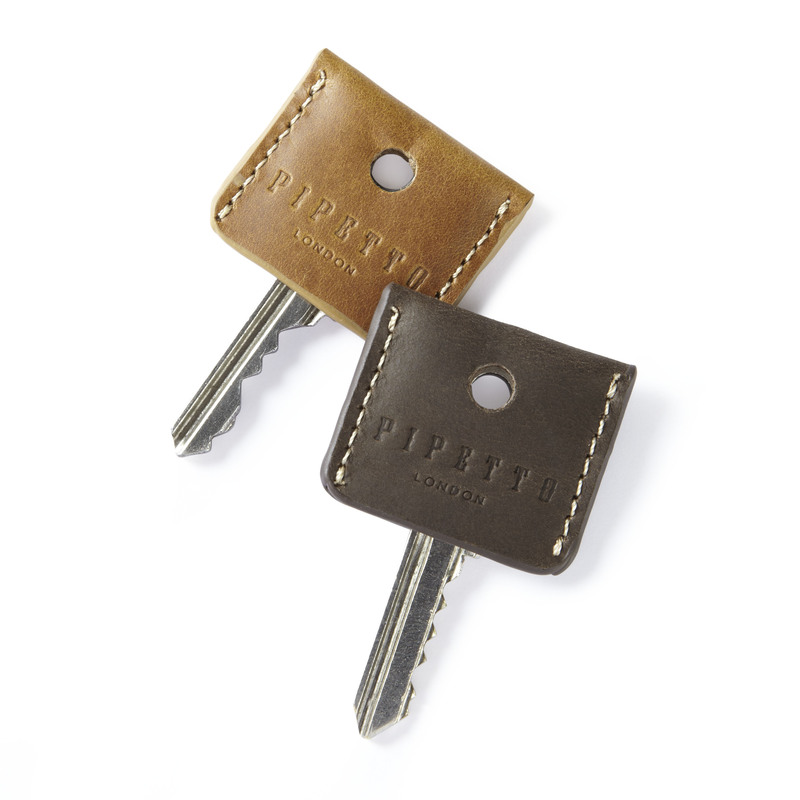 Luxury Leather Pipetto Key Covers in Navy Saffiano and Tan Leather. 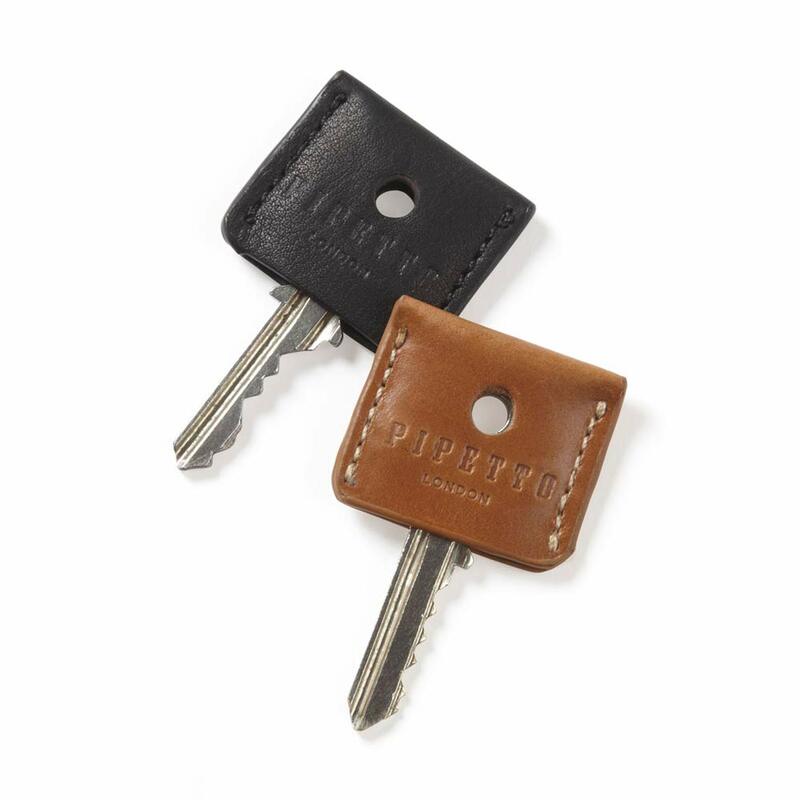 Luxury Leather Pipetto Key Covers in Navy Saffiano and Tan Leather. Embossed with the Pipetto brand and hand-stitched for a luxury finish. These stylish covers will help easily identify keys and improve grip when opening doors. Will fit most standard house or round headed keys. One of each colour included in each pack.